When anglers - and certainly the 24 pros with Jack Link's Major League Fishing - think of wetting a line somewhere in the state of Michigan, smallmouth bass are the fish that first come to mind. Especially when there is an angling prize on the line as prestigious as the 2014 General Tire Summit Cup. 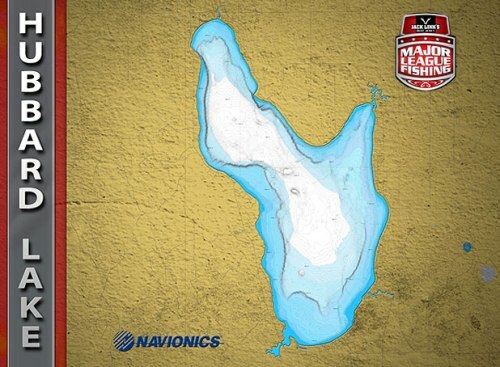 The truth is, smallmouth bass and Michigan - also known as the Great Lakes State - go together like peanut butter and jelly, producing some of the country's best and most consistent fishing for smallies. 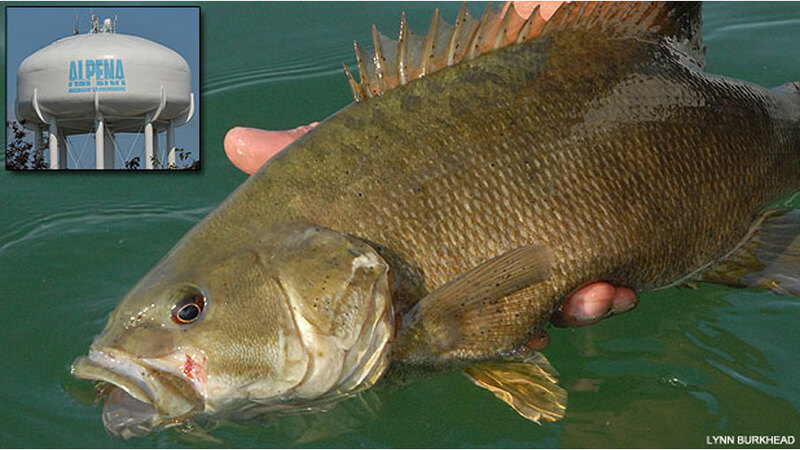 That bronzeback bass action occurs on dozens of lakes across the state, including Lake St. Clair, the nation's top black bass water according to Bassmaster magazine's 2013 "Top 100" listings. But there's far more to Michigan smallmouths than St. Clair. Just ask Mary Beth Stutzman, president of the Alpena Convention and Visitor's Bureau. "We are known for some of the best bass fishing in the state," said Stutzman. In a state full of great waters, that's saying a lot. Which is why I found myself on an unnamed water body near Alpena in late August, wanting to see firsthand if the hype surrounding a handful of fisheries in the northeastern corner of the state was for real. I already knew that the hunting was good in the area; Alpena is a Native American word that means "good partridge country." But what of the area's bass fishing in the virtual shadow of Lake Huron and Thunder Bay? On my second cast of the evening, a chunky two and a half-pounder slammed the white spinnerbait I was using, providing a clue of what was to come. "That's a nice one, but we should catch one or two this afternoon that will go even bigger," said Jere Johnson, an avid northeastern Michigan angler who grew up fishing in the Alpena area. "We've got some great smallmouth in these lakes near Alpena and they are usually more than willing to slam a spinnerbait." 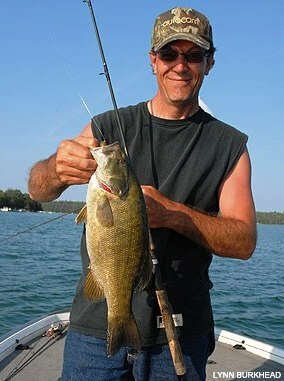 Local angler Jere Johnson shows off a nice Michigan smallmouth bass. I would find that out quickly as Johnson reared back, drove the hook of his spinnerbait home, and fought a big smallmouth to the boat that would weigh in at just under five pounds. Moments later, Johnson's longtime friend and angling sidekick Brian Nowland would do the same, except this time thanks to a suspending jerkbait. If anything, the fish that Nowland lipped was even bigger. Such is the action that lured Major League Fishing to the Alpena area in the first place. After largemouth bass dominated events in Texas, Florida and New York, MLF organizers hoped to change the pace up a bit by ensuring that bronzeback bass were decidedly in the mix for this Summit Cup. What happened? The action recorded by Outdoor Channel television cameras was nothing less than a smallmouth smash-fest on a handful of Alpena area bass waters. Those waters included Hubbard Lake, an 8,850-acre water body named in the 1860s after a prominent Michigan geologist, Dr. Bela Hubbard. Site for one of the various rounds of the General Tires Summit Cup, Hubbard delivered the piscatorial goods and then some for the MLF pros. With a mixture of rock piles, boat docks, underwater humps, large grass flats and a whole lot more fish habitat, Hubbard did not disappoint, providing significant smallmouth catches for the MLF pros on a variety of baits. In fact, the angling action on Hubbard - some of the best ever witnessed in the history of MLF events - wasn't even the best smallmouth action of the week. But you'll have to tune in to Outdoor Channel in January to see where the other action took place, how heavy over-the-top the catches were, and which anglers were able to unlock the secrets of multiple lakes to move on to the finals. If the fishing was red hot in Alpena, so too was the city's hospitality for the Major League Fishing pros and the league’s crew. From visits to the 448-square mile Thunder Bay National Marine Sanctuary and Underwater Preserve - the final resting place to 116 shipwrecks - to the lighthouses that dot the area, to Alpena's bustling downtown district, where the Jack Link's Sasquatch was sighted, the entire area lived up to the community's motto of being a "warm and friendly port." 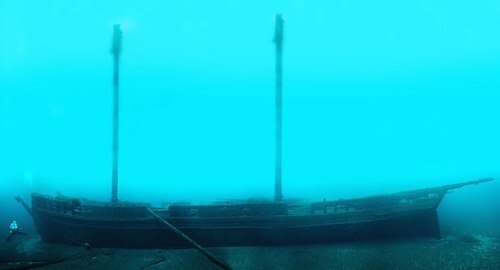 This is just one of the many shipwrecks that are scattered along the bottom of Thunder Bay. After an afternoon of sampling what these Alpena-area lakes could offer, and having caught a handful of bronzebacks up to four pounds, Johnson suggested that I make a handful of final casts towards some isolated grass. As the evening shadows gathered, I flung my spinnerbait in the direction that he suggested. After a couple of revolutions with the baitcasting reel's handle, a big thump announced itself at the end of my line. After a long acrobatic fight, I gently lifted one of the best smallmouth bass of my life into the boat. With a smile as big as all of Michigan, I reflected on Stutzman's claim that Alpena has some of the best bass fishing in the entire state. Holding five pounds of solid bronzeback bass in my hand, I couldn't have agreed more.